- Through their words and actions, they contribute to the promotion of the Bocuse d’Or as a prestigious competition. It now ranks top among contests of its kind, with a sphere of influence that has enabled it to attract the “gratin” of international gastronomy, paying a warm tribute to the cooking professions. Many of our chefs are getting involved in their own countries in very practical ways, organising selections, sitting on juries, coaching new candidates. - They created the Best Commis Chef Prize, presented during the Bocuse d’Or to a young cook as a reward for his professionalism during the trials assisting candidates. 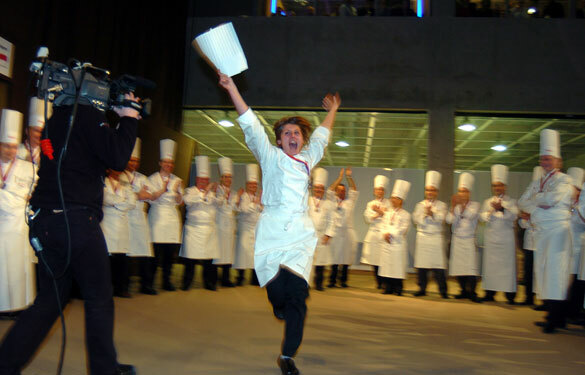 The Chefs are committed to promoting their profession among the younger generation and this prize is a highly coveted sign of recognition for those who play a key role in each candidate’s performance. - Pushing their commitment further in favour of all those who help feed the world, they help small entrepreneurs (farmers, restaurant owners…) by supporting Babyloan.org, a solidarity-based micro-credit organisation. - On the occasion of each final in Lyon, held every two years, they publish a book presenting all the Bocuse d’Or Winners.